• Chief attended the Law Enforcement Leadership Series in Des Moines that coincides with the Iowa League of Cities Annual Conference. Training included open records, officer involved shootings, heroin issues and legal update (12 hours). • Police Legal Sciences online monthly session was completed by all officers for the new laws and changes that effected law enforcement July 15, 2016. (1 hour each = 20 hours). 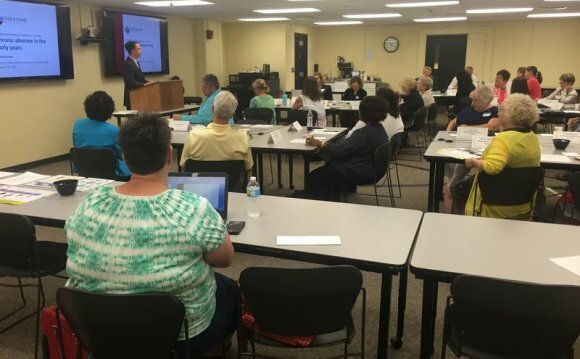 • Chief attended a conference in Kansas City with the City Administrator. Topics covered were relationship building, needs and concerns of each position (8 hours). • Spence Madole is in the final shadow phase of the Field Training process preparing for solo patrol. • Eric Kapfer is still at the Cedar Rapids Regional Police Academy and is halfway through his training. He will graduate in November. • Investigator Rueben Ross presented at the Senior Dining Program on safety topics and crime prevention. About 15 people participated. • NL Optimist dropped off a meal for the officers which was greatly appreciated. • Officer Chuck presented several safety talks at local schools and daycares. • Officers kicked off the K9 fundraiser drive with the Colony Pumpkin Patch. This was the first public outreach to promote NLPD getting a K9. Officers are selling t-shirts at the Pumpkin Patch and the Colony Pumpkin Patch is giving part of their proceeds to the PD. We appreciate the support from Dean and Katie. • Sincere Printing is also raising money by selling shirts, mugs, and cups. 25% of the sales will go to the PD for the purchase of a K9. • The Chief discussed the Community Survey and the K9 fundraising on KXIC morning show with Councilman Sayer. • The Community Survey was completed and ended on the 30th. We will be tallying the responses and publishing. We received 102 responsed. Overall the majority of the surveys were very positive. • The records staff attended the Iowa Women’s Foundation luncheon along with other City staff members. • The LIDAR used for speed enforcement was broken and sent in for repair. • The new administrative vehicle has some equipment that was back ordered. It was received and will be installed so the lights and radio are operational in the Ford Sedan. • The Department applied for a Federal DOJ grant to enhance our Body Worn Camera technology back in April. We recently found out that we were awarded the grant and will receive $14900. We will wear test some new cameras that have infrared or night recording capabilities and work on implementing another backup/dual recording system for the department. This grant is for one year and we will be reporting quarterly on our progress. • We received several complaints of the traffic on Penn Street during the morning and evening commute since the HWY 965 bridge construction began. Officers have continued to monitor and assist when needed. We have worked with the street department on this endeavor. • We have received complaints of unlocked vehicles being rummaged through and miscellaneous items taken. The areas include N. Park Ridge, Savannah Village, N. Stewart, Courtney Lane, McKenzie and Colton Lane. Officers have submitted evidence to the crime lab for processing. Some items have been recovered and returned to the owner. Items taken include keys, change, purses, wallets and electronic devices. We still want to encourage residents to lock and secure their personal belongins in their vehicles. Do you like to eat well? Are you interested in good healthy food? What are the different kinds of menus? What is the difference between cafe and coffee shop, between the restaurant and bistro? If you can answer all these questions you're a cook or a restaurant expert... a great specialist! Congratulations! But if you can't you need the experts' help. You will find the answers to these questions and much more information in the Internet. Restaurant or Cafe is one of websites to help you. You'll be able not only to learn something new, but to find a good cafe near your house, too.